My sister-in-law Shirley is here for a visit and she works in an appliance repair shop that she and her husband Joe own. We were talking about how many calls she has been getting for new dishwashers not cleaning dishes properly. Come to find out in every case in the last few months the problem has been because “they” have taken the phosphates out of our dish washing detergent. This removal of phosphates happened last summer in many locations, and ladies are up in arms with this change. As I understand it phosphates get into our water supplies and accelerate plant and algae growth. When these plants die an accelerated death there is a feeding frenzy of bacteria, these bacteria consume oxygen causing a dead zone for marine life. As you can imagine there is a cascade effect to the environment that biologists believe could be catastrophic as time goes on. Not every state supports the ban on phosphates although you still may get phosphate free detergent as there 17 states support this ban. 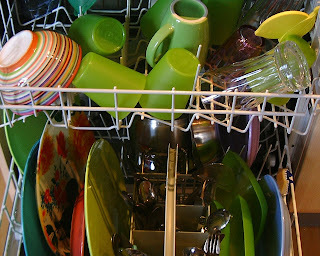 Congratulations if your dishes are dirty, you are supporting our environment, thank you! Shirley, lives in Ohio one of the states supporting the ban, tells me that Finish gets her dishes the cleanest of all the newly formulated dishwasher powders she has used. 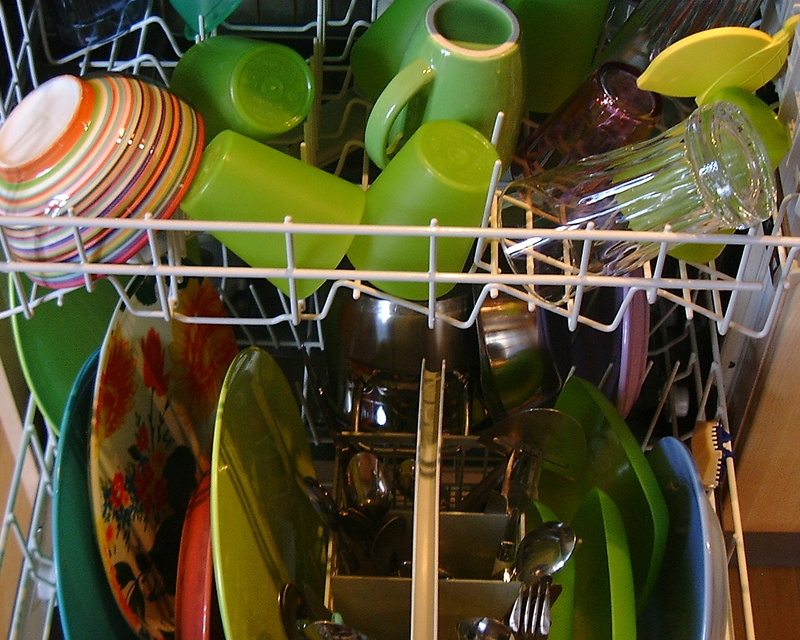 The most economical way to purchase dishwasher detergent is in powder and it is also the most efficient way to get your dishes clean. Do you live in one of the states that have the ban, how are your dishes? We've been using it for weeks now and it works great. You only need to fill up one detergent cup in the dishwasher as this stuff is concentrated. We buy tons of stuff from Tropical Traditions. Cool resource. I don't know about 7th Generation. I will google them and get some. Seems I should do the dishwasher challenge with all three products. I had usually use Cascade but am just not satisfied lately. I use a rinse aid too. Thanks for the tip. I'll let you know what I find out. Stay tuned for an update. Try using cheap white vinegar as your rinse aid. It also works well put in the clothes washing machine replacing the liquid fabric softener! Just do a search on your favorite search engine of "dishwasher vinegar" and "washer vinegar"
you'll learn a ton about this! If your garbage disposal gets a bit stinky during the hot summer just give it a drink of vinegar also. or dice up your leftover lemon or lime peel and run them thru....cleans them well. Search for 101 uses for vinegar, someone has even written a book about it! Cheap white vinegar, who knew? The garbage disposal trick with the lemons I knew, I also understand running the rubber gasket through the dishwasher will get rid of germs that can cause smell. Have you ever looked at the underside of that gasket, ick. I just read that a cup of vinegar in the clothes washer will get rid of the hard water deposits that show up on clear shower curtains. That really worked well. Could vinegar be better and safer than modern chemicals? It very good thinks that I saw. keep it up..